If you have been accused of driving while license suspended (DWLS) you need to take steps to protect your driver’s license. A lawyer who is experienced in dealing with the BMV, traffic court and prosecutors to resolve outstanding license suspensions and tickets can help you to possibly avoid or minimize additional license suspensions, fees and points on your driver’s license. Driving While License Suspended – What Does That Mean? Driving While License Suspended can be found in the Indiana Code at IC 9-24-19. Section 1 (IC 9-24-19-1) provides that a “person who operates a motor vehicle upon a highway while the person’s driving privilege, license, or permit is suspended or revoked commits a Class A infraction.” However, if the person has a prior conviction for driving while license suspended within the previous ten (10) years, the offense is a Class A misdemeanor, carrying a maximum penalty of 365 days in jail and a $5000 fine. (IC 9-24-19-2). If the offense results in serious bodily injury, it may be filed as a Level 6 Felony or a Level 5 Felony if the offense results in death. Essentially, the state must prove that you were operating a motor vehicle while your driver’s license was suspended and that you knew your driver’s license was suspended. If the charge is a misdemeanor or felony, they must also prove that you either have a prior conviction for driving while license suspended, or that the offense resulted in serious bodily injury or death, depending on the charge. In addition to the usual possible penalties for a criminal offense, such as a jail, probation and fines, a person convicted of driving while license suspended may also be facing penalties related to his or her driver’s license. If convicted, a judge may order a person’s driver’s license suspended for a period up to the maximum sentence for the offense. For example, if a person is convicted of driving while license suspended as a Class A Misdemeanor, his or her license may be suspended for up to 365 days, even if there is no other sentence imposed. Also, if a conviction for driving while license suspended is entered on driving record, that conviction can be used in the future to determine if someone is a habitual traffic violator, which can lead to a license suspension of 5-10 years. Points will also be assessed against the driver, which can potentially lead to BMV administrative probation or additional license suspensions. 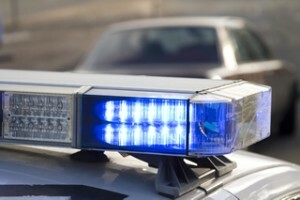 When facing charges for driving while license suspended, it is important to hire a lawyer who understands how to interpret a driving record, defend against a charge of driving while license suspended and work with you to help you get back on the road – legally – as quickly as possible. Julie Chambers is a former deputy prosecutor for Marion County, having prosecuted misdemeanors and felonies and she also spent time as the deputy prosecutor in Marion County Traffic Court. She represents clients throughout central Indiana to help resolve tickets and license suspension issues, including driving while license suspended charges, operating without a license, reinstatement fee suspensions and traffic tickets. If you have been charged with Driving While License Suspended and need a lawyer to help you navigate the criminal system and also work with you toward getting a valid driver’s license, contact Chambers Law Office at 317-450-2971 today to speak with a lawyer about your case.